When we were expecting our first born, my wife and I both read Bringing Up Bebé, by Pamela Druckman. It is an American mother’s tale of raising her children while living in France. Aside from all of the lessons about parenthood to be learned within, one of the things that stuck with me most was how autonomous French children are. 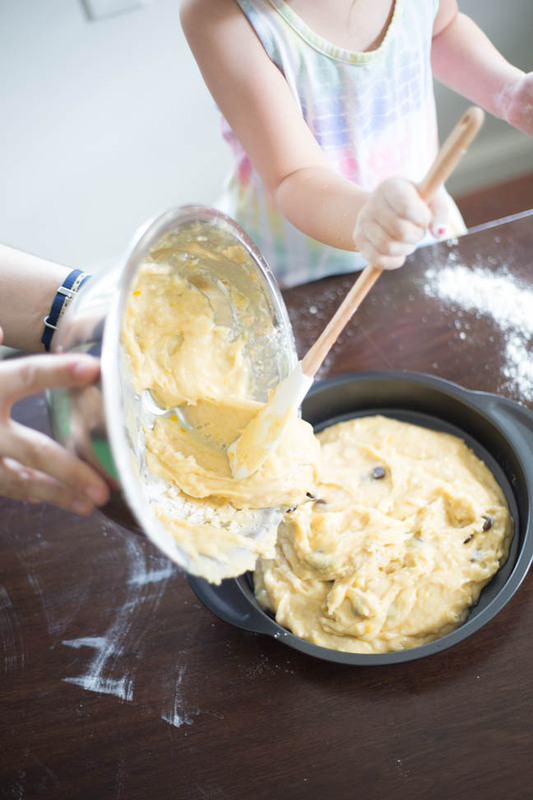 Most French kids learn how to bake at a very young age and are capable of making full recipes by themselves from start to finish. 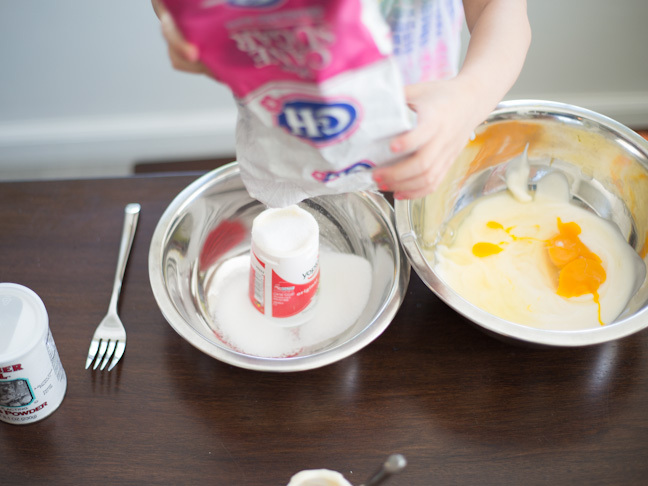 Usually they start with a simple yogurt cake, made by measuring all of the ingredients with a yogurt container. 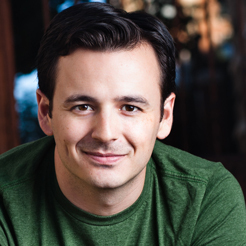 It is such a forgiving recipe that you can mess it up completely and it will still taste all right. 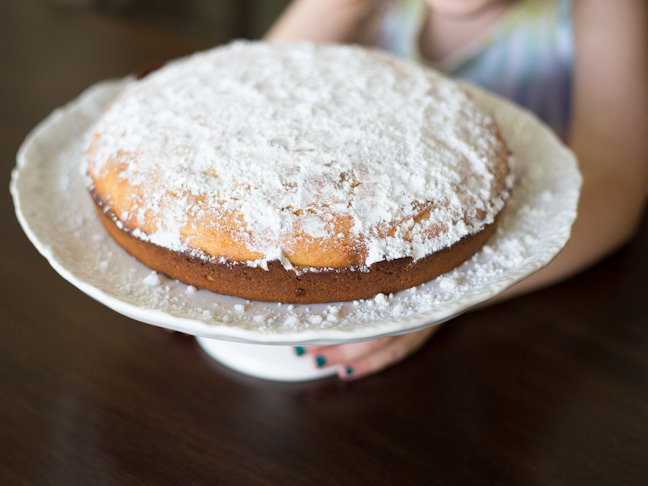 I decided to give this yogurt cake recipe a try this weekend with my four-year-old niece, and it went wonderfully. 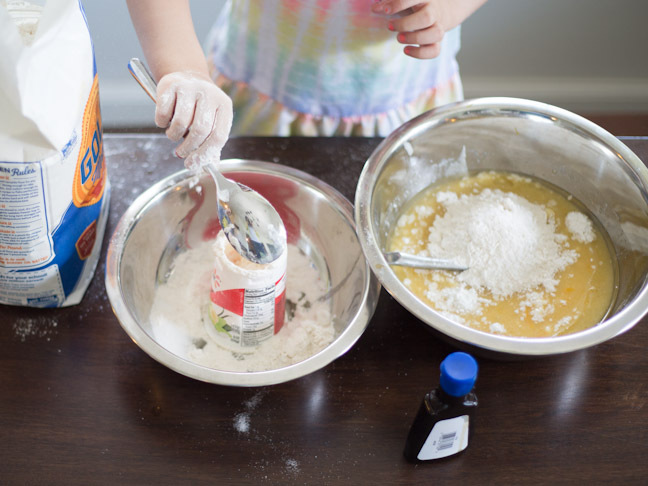 Here’s the recipe so you can try it with your kids too! 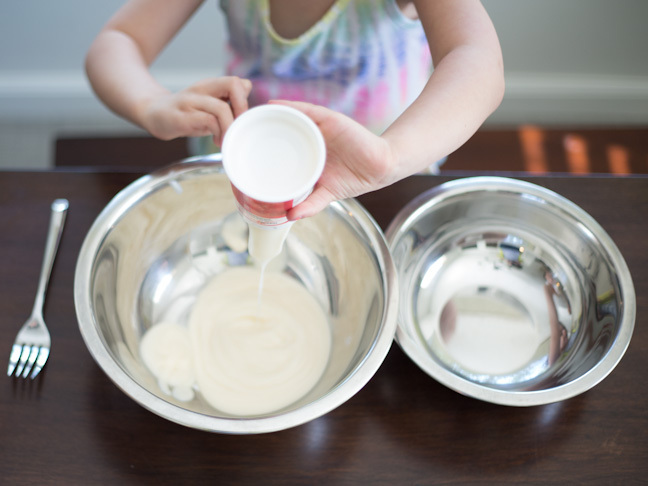 A perfect beginning baking recipe for little kids using a yogurt container as a measuring tool. cake pan or loaf pan: 9 oz. Step 1: Preheat oven to 375 degrees. This is the one part of the recipe you will do yourself. Please don't let your toddler actually operate the oven. 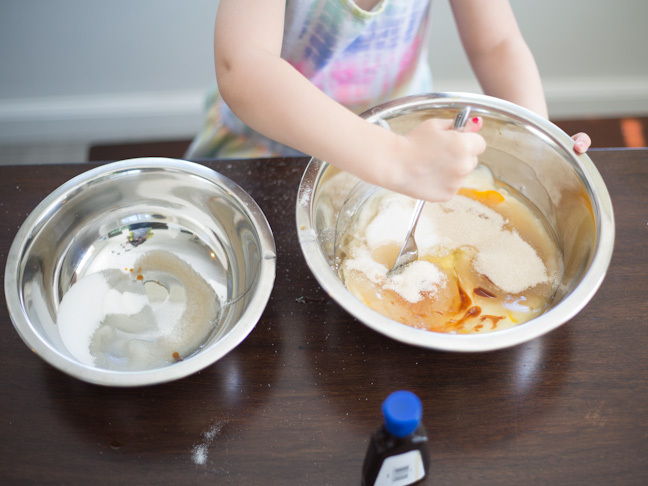 Step 2: Have your child start by emptying the yogurt containers into a large mixing bowl. 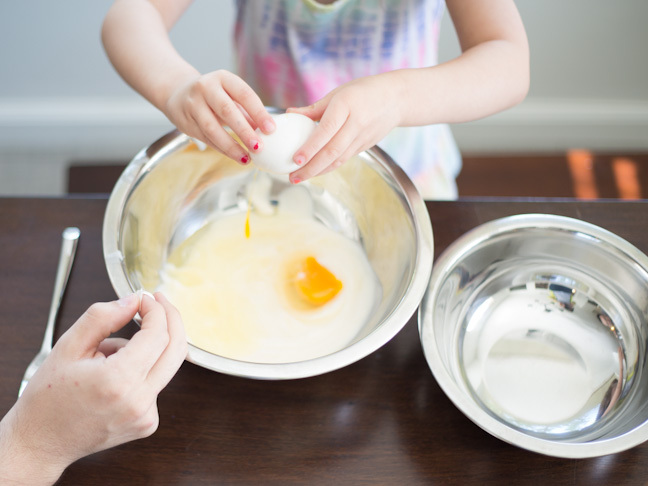 Step 3: Next, they can crack the two eggs into the bowl. Feel free to assist with necessary shell removal. 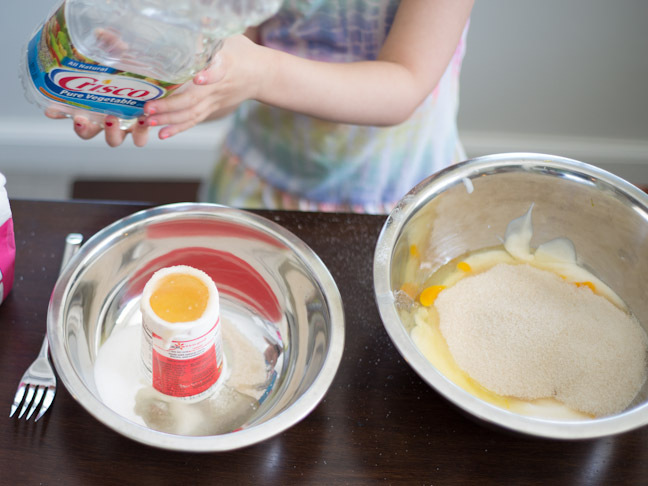 Step 4: Measure and add two containers worth of sugar to the bowl. I gave my niece an extra bowl to pour over to reduce the mess on the counter. Step 5: Add one container's worth of vegetable oil. Step 6: Add the vanilla extract and mix the ingredients together well. Step 7: Add the baking powder and flour to the bowl and mix until smooth. Step 8: Optionally, you can add a scoop of chocolate chips or berries at this point. Step 9: Pour the batter into a greased pan. The bowl might be a little heavy, so offer an assist here as well. Step 10: Bake at 375 degrees for 30–35 minutes. You can check the cake by dipping a toothpick in to see if anything sticks. 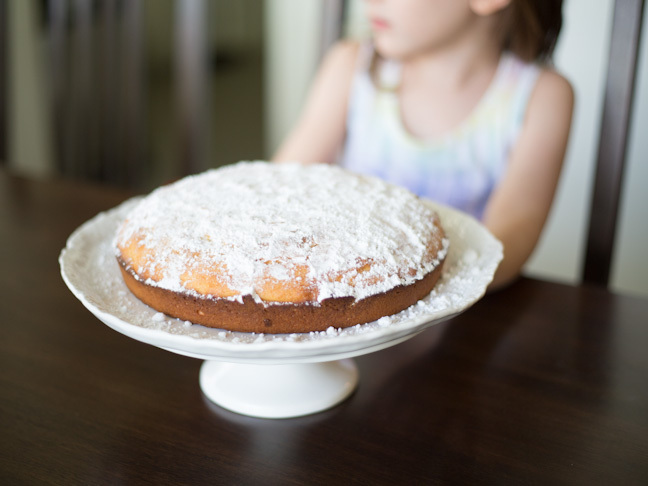 Let cool on a cooling rack and transfer to a cake stand or plate. 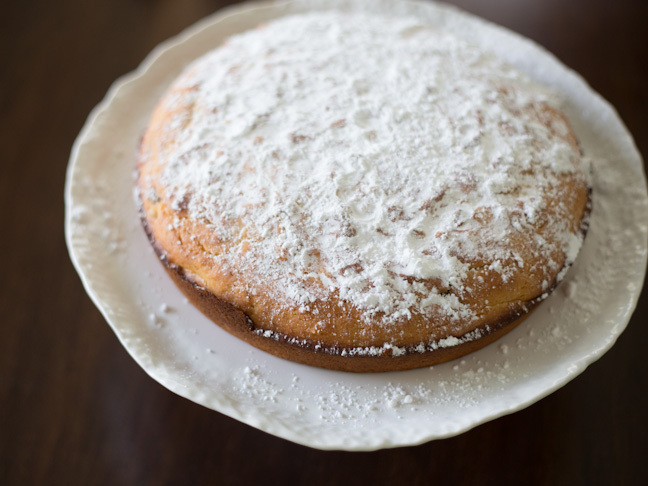 Step 11: This cake goes great topped with powdered sugar or fresh berries, or even some frosting and sprinkles. Let your kiddos make the choice of how to serve it. It is the perfect addition to any afternoon tea party. All in all, a great success, and my niece was so proud that she made the cake all by herself. 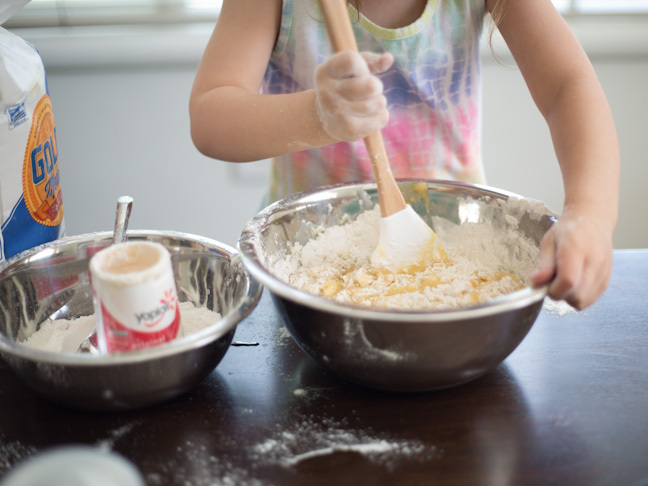 And when you are finished baking, you can teach your little one some tricks on how to clean up spilled flour.